THE Prime Minister was unfazed by a perceived snub by the United States whose President will today meet five Caribbean leaders, but has left out Trinidad and Tobago. Donald Trump will host leaders of the Bahamas, the Dominican Republic, Haiti, Jamaica, and Saint Lucia at his private resort at Mar-a-Lago to discuss the Venezuelan crisis and China trade practices. Dr Rowley said a man’s house is his castle and so Trump was free to invite whoever he liked. At yesterday’s post-Cabinet briefing at the Diplomatic Centre, St Ann’s, Rowley argued that Trinidad and Tobago’s stature on the world stage does not depend on whose private residence it is invited to. He said those countries invited to meet Trump were members of the Lima Group that is opposed to Venezuelan President Nicolas Maduro and are committed to regime change. Of Trump’s guests, Rowley said, the Dominican Republic was not a Caricom member and recalled the episode of hundreds of thousand of people of Haitian descent being rendered stateless “here in the Caribbean” due to their skin colour, a further allusion to the Dominican Republic. He said TT now stands tall and proud over its non-interventionist stance towards Venezuela. Rowley said young TT nationals largely don’t know of TT’s proud history of fairness on the world stage, ranging from being one of the first to recognise the People’s Republic of China, while opposing the embargo against Cuba, apartheid in South Africa and the 1983 US invasion of Grenada. 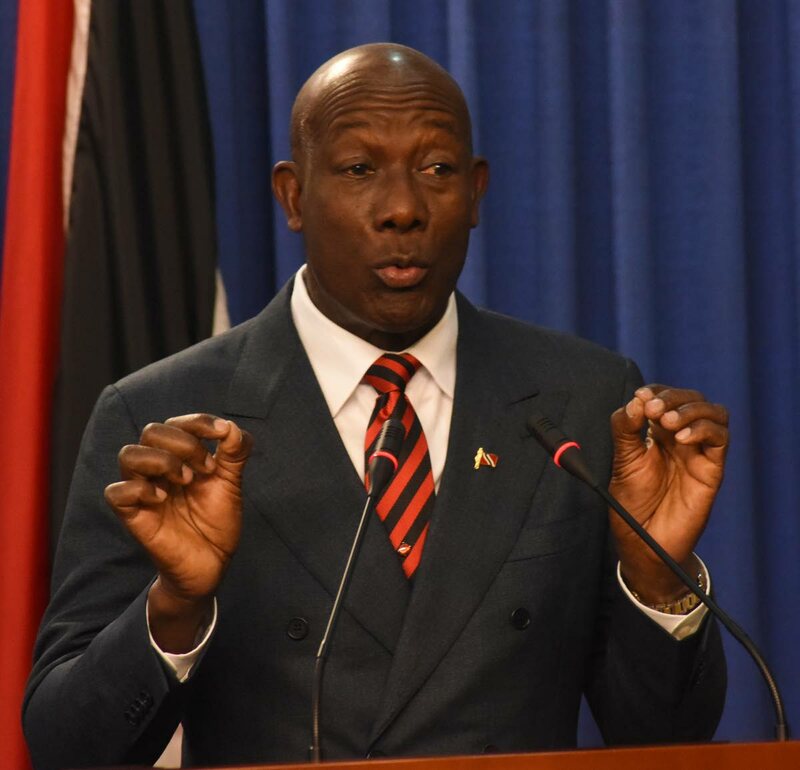 Rowley read out the United Nations (UN) Charter of non-interventionism, largely the basis of TT’s foreign policy and Caricom’s policy of de-escalation and peaceful resolution. Rejecting allegations of a cop-out over the Venezuelan situation, he asked if anyone was aware of any UN action against Venezuela. He said the Government’s only wish for Venezuela was “peace, stability and prosperity”, within the construct of sovereignty, peace and the protection of the UN Charter. Otherwise Rowley said Joseph Mondello, US ambassador to TT, was free to meet who he wants, when asked about his recent meeting with Opposition Leader Kamla Persad-Bissessar. Asked about China, accused of predatory practices by Trump, Rowley said they are the world’s second biggest economy and probably the one’s with the most investment money available, even as he recalled TT being perhaps first to recognise them over the then Formosa at the UN.